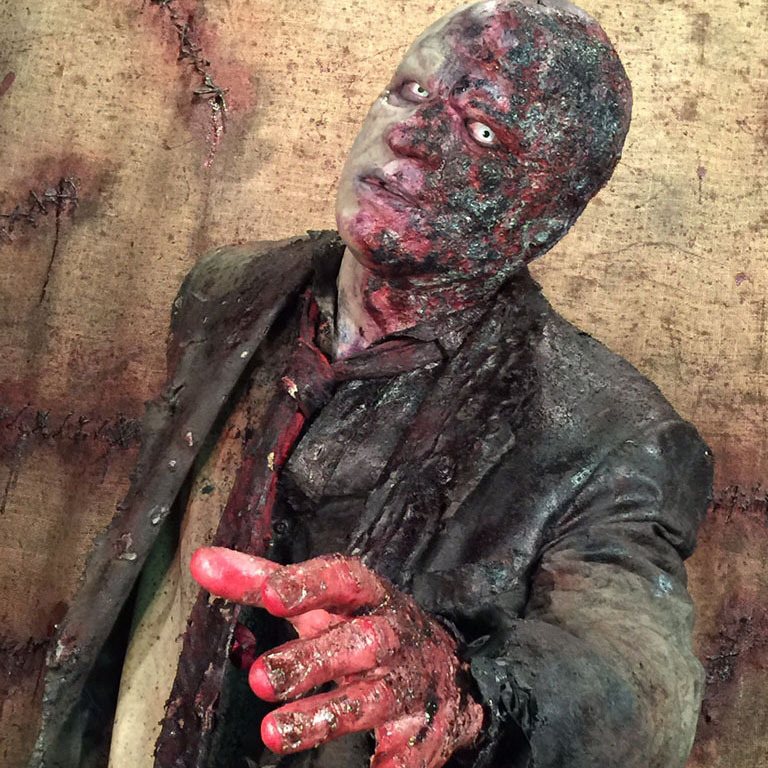 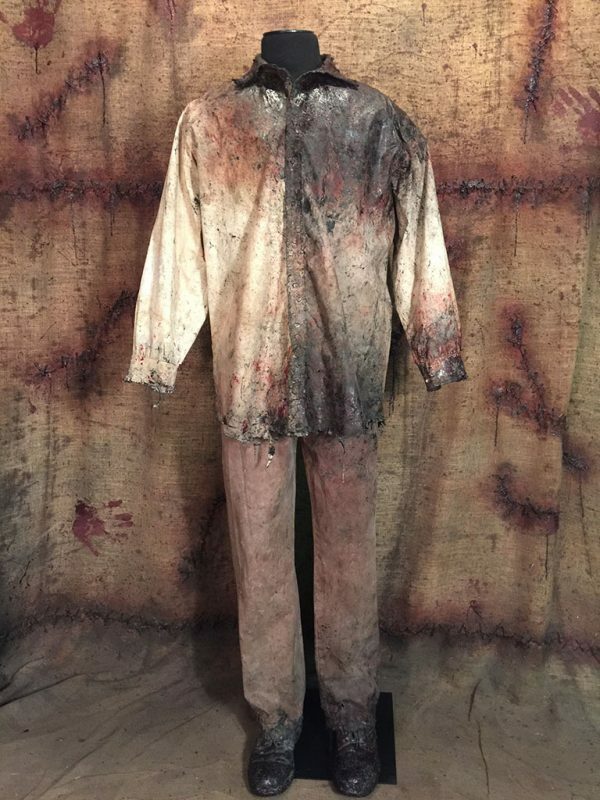 Become a member of the deceased with our NEW line of custom “Living Dead” full body costumes. 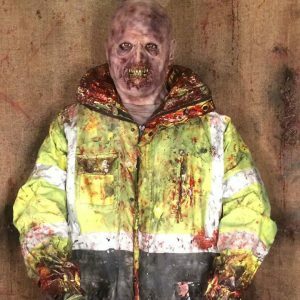 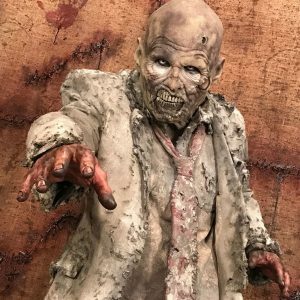 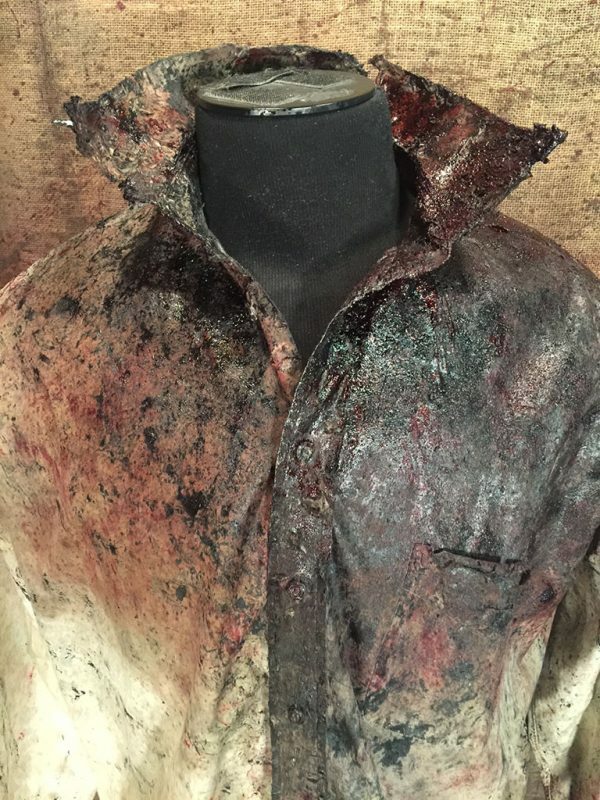 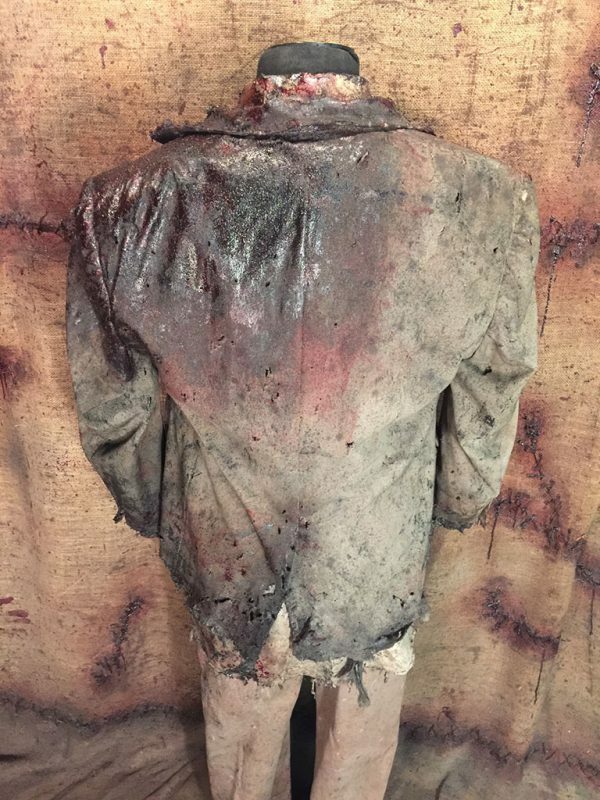 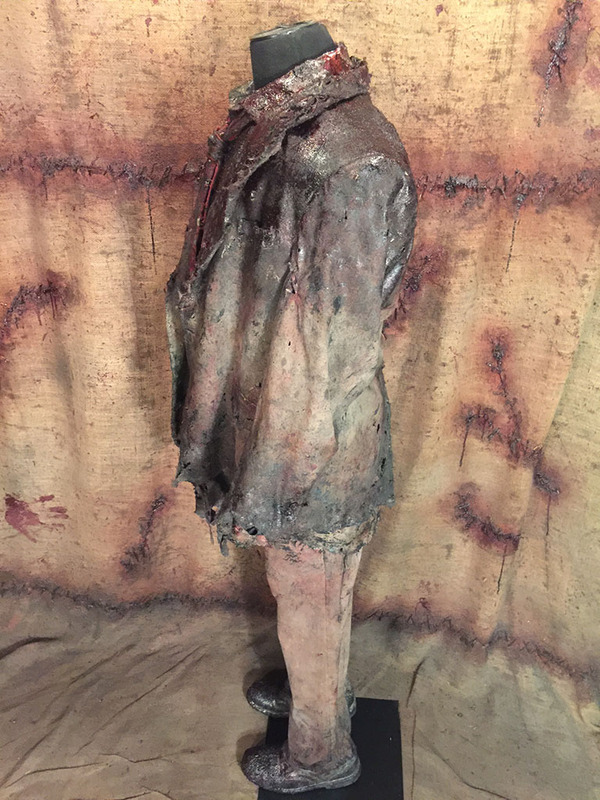 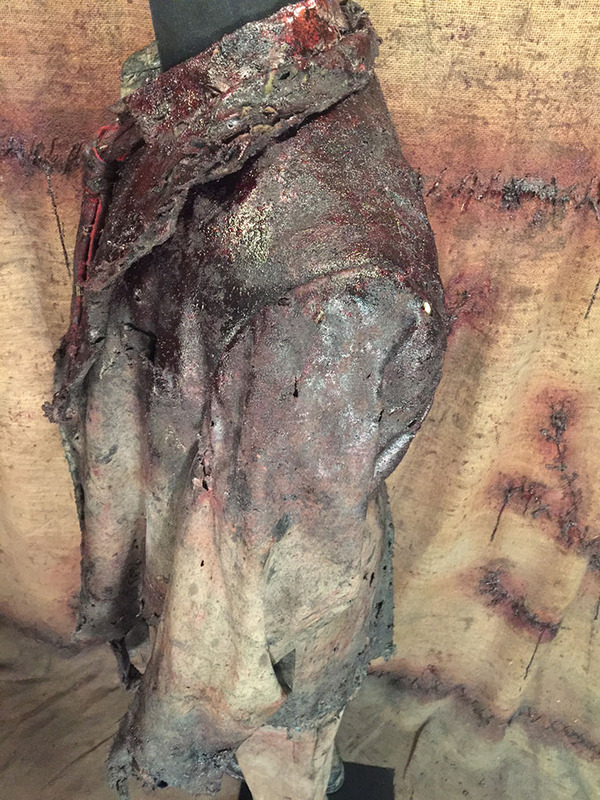 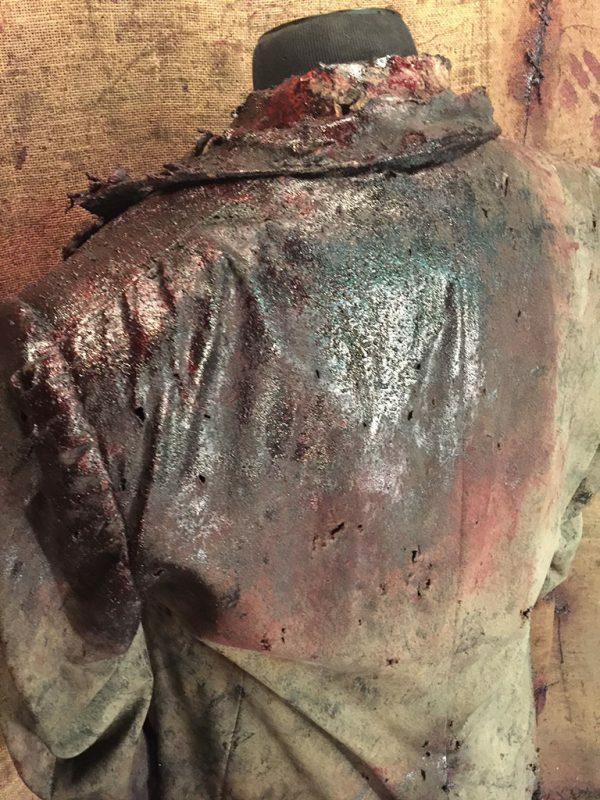 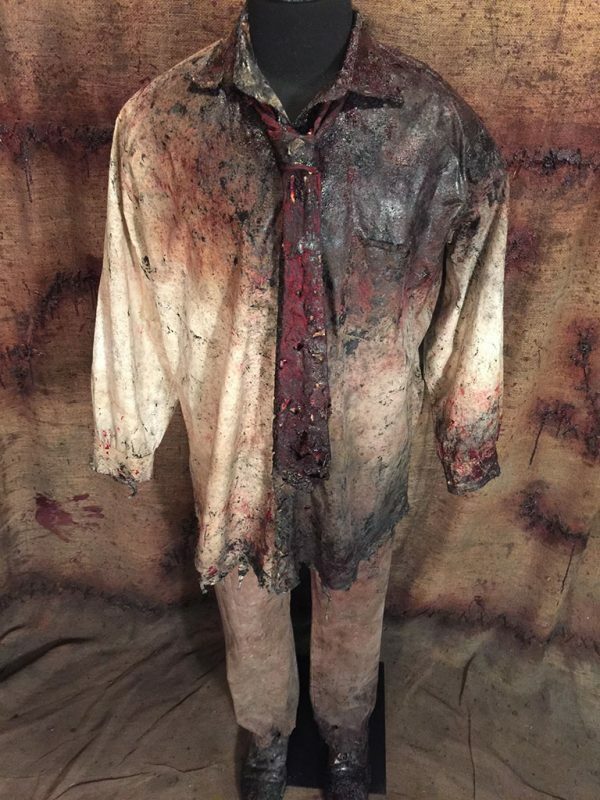 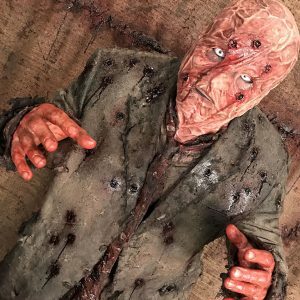 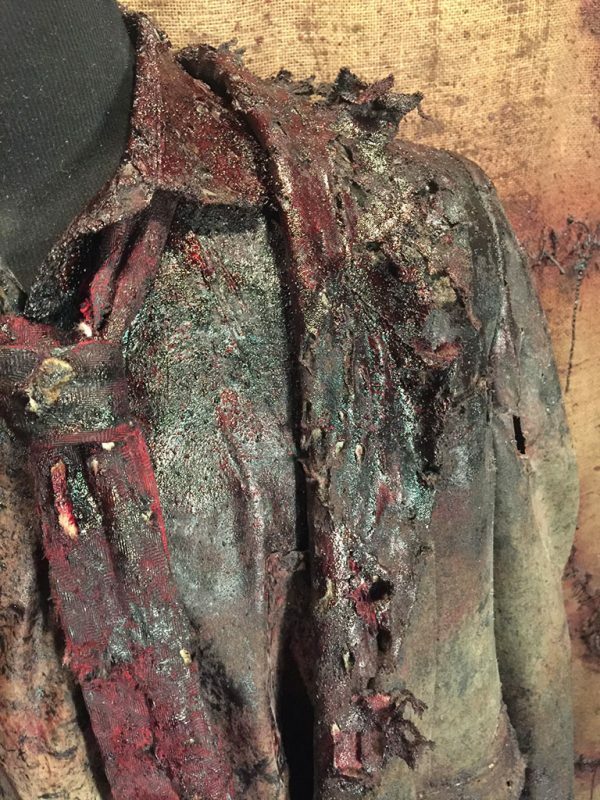 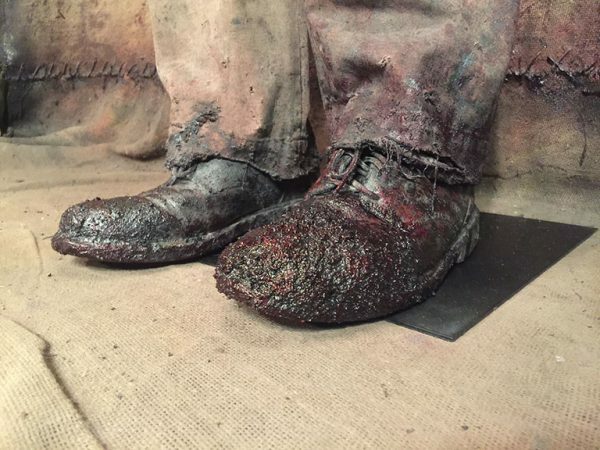 In full detail with multiple bloodstain shades, aged and rotting ripped clothes, multiple bullet holes or burnt to a crisp these dead folks will bring any Halloween costume party “to life”. 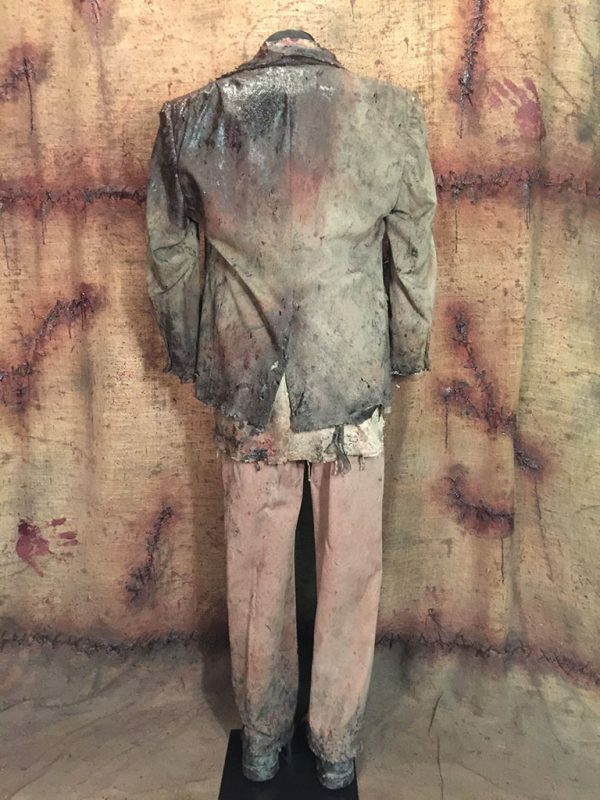 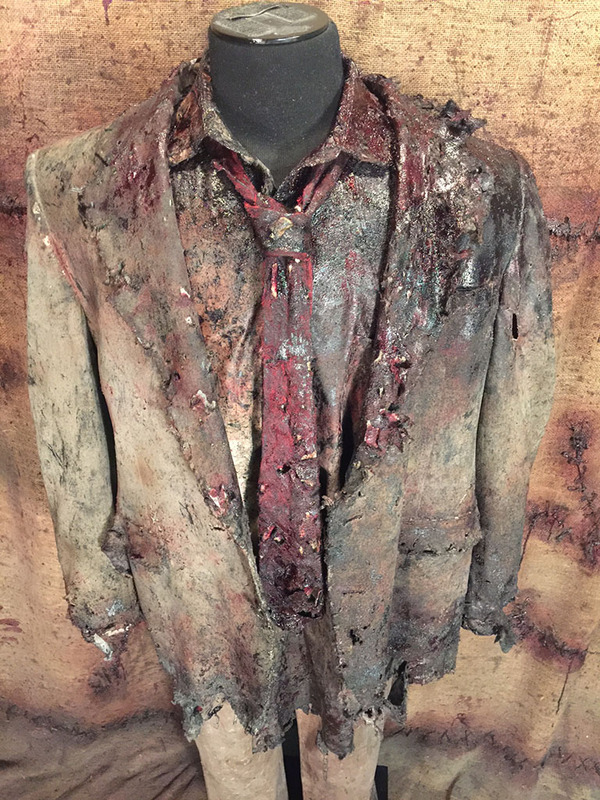 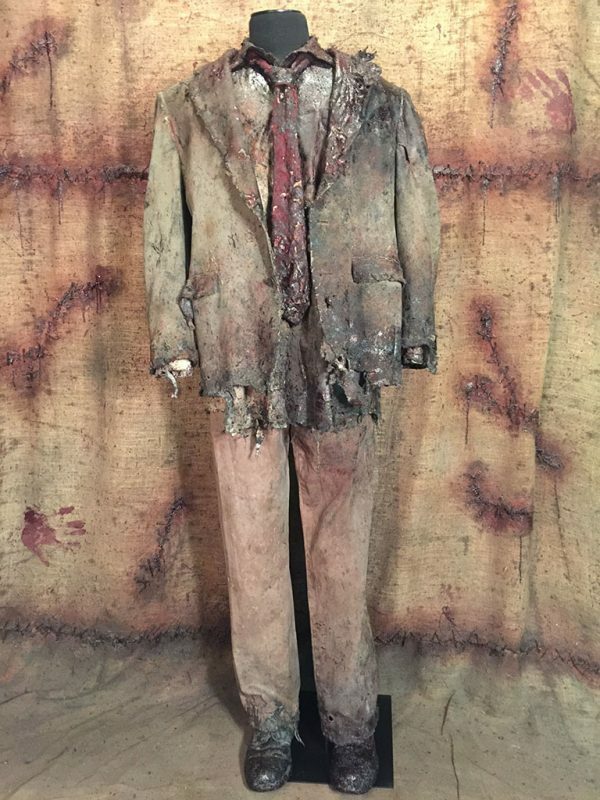 The “Living Dead” collection includes suit coat, long sleeve shirt, tie, pants and dress shoes.